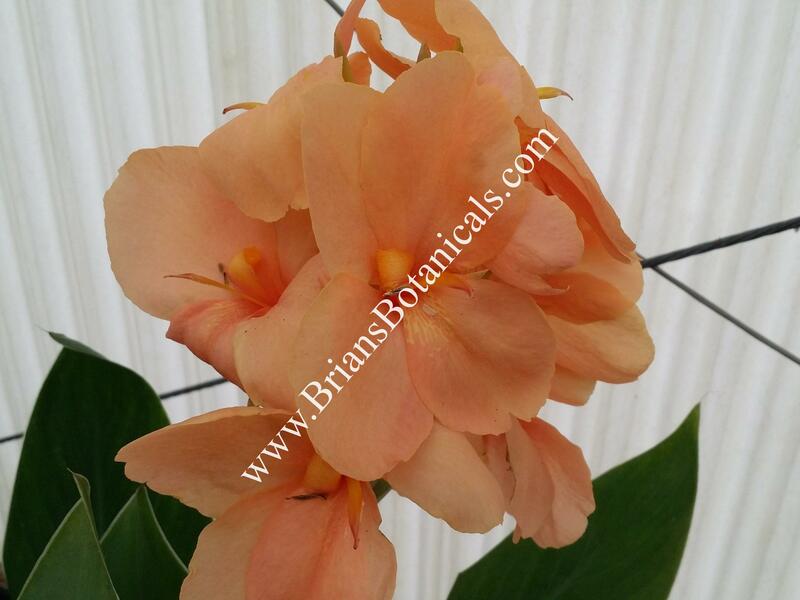 Canna Orange Shades grows between 4 to 5 feet tall with a soft orange flower an almost peach color. Heavy flowering with green foliage. Plants sold in? 4 1/2 inch pots.